Having two kids (even though one is only a tiny baby – the other makes up for it with his endless energy!) means that I don’t often get the time to make any grown-up crafts. 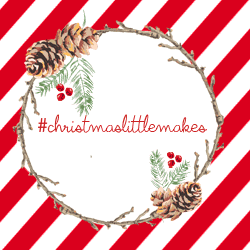 So when Jemma from Thimbleandtwig suggested we do a #christmaslittlemakes linky with both little and large Winter crafts for the four weeks in December, I jumped at the chance to make myself make! I had a bit of a mad notion that I would try and get all the crafts (little and large) from all the four weeks (so at least eight in total) to somehow all come together in one fantastical Winter Wonderland Window display for the house. Well I have no idea if I’m going to be able to pull it off but here is my first grown-up (or for older kids too) craft for the theme of Light. Measure the size of paper you will need by simply putting the sheet of black paper into the glass and cutting where it sits nicely against the glass. Lie paper flat and draw out the skyscape you would like. Remember to add cutout windows and doors etc to allow light through and make it more interesting. If you are feeling adventurous why not include some local landmarks? Spray the inside of the jar with the snow spray but just a little at the Base of the jar. Add some spray or white paint to the roofs of the houses if you would like. Place the cardboard in the jar and glue into place if need be. Spray a little more snow round the roof of the jar but try and avoid covering the cut out. Finally to finish, simply add the batery operated tea light but dropping it in. You can add additional little touches such as sequine stars glued to either the inside or outside of the jar, and a sharpie is great for adding the moon. And there you have it, a tiny wee world to watch from the comfort of your own sofa. I am hoping people walking by our window at night will also enjoy this little glimmering world. I love jar lanterns, this is such an adorable Christmas scene! I love it!